Blog / Exploding Pens and Flying Tea Trays – What do Effective IT Management and James Bond have in Common? My colleague Kevin and I just returned from a conference in Kananaskis, Alberta. For those who have not visited before, it’s a stunning mountain resort area in the Rocky Mountains, southeast of Banff. The area was hit with severe flooding a few years ago and they have just re-opened the golf course. However, this was a working trip for us. In addition to having a Trade Show booth for our IT services, we also made a Presentation to the Finance Officers and Senior Managers of several Municipalities in Alberta. Our topic was Effective Managed IT Services for Municipalities. We presented to this group last year and we always like to add an element of fun to break up a serious topic. Last year, we chose to intersperse our theme with a few clips from Star Trek. 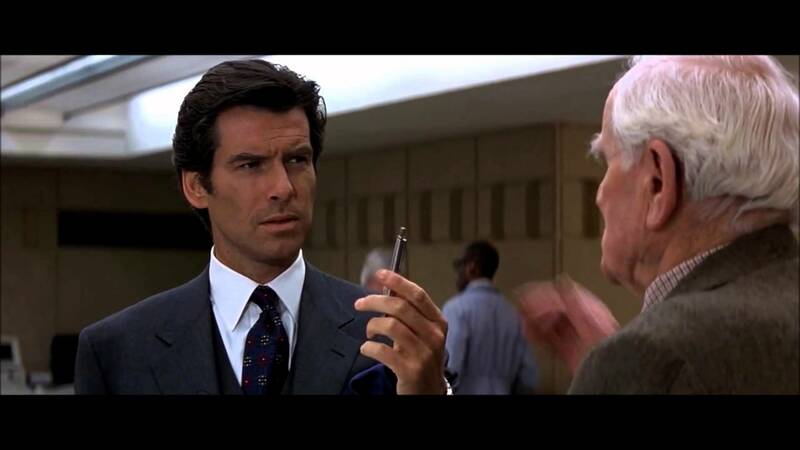 This year, it was James Bond; specifically the gadgets that Q always provided to help 007 with his missions. Who says IT work has to be dull? Exploding pens and remote-controlled cars aside, the subject itself gave us a few surprises. This list might look familiar to you; it should be items that you deal with on a day-to-day basis. There is nothing wrong with this list, but it is incomplete. … and identified how the topics could impact these eight desired results in a matrix. For example, providing good Helpdesk and Email Troubleshooting could REDUCE Risk, while INCREASING User Satisfaction and Productivity. There was nothing surprising about this matrix or what it was trying to tell us. Surprise #1: Effective IT Management – done right – is complex. Within each of these topics and sub-topics we provided a short summary of What It Meant. That’s over 40 areas of IT Management that organizations – both large and small – need to be concerned with. Surprise #2: IT Management – done right – can have significant and immediate impact on your whole organization. More surprises were in store when we started completing the matrix of desired IT Results. There were some sub-topics that could impact EVERY desired IT Result. In other words, the sub-topic was so important that focusing on that area of IT Management could have significant positive impact on ALL Result categories. Likewise, there were some topics that affected a particular IT Result across ALL related sub-topics. For example, if you want REDUCE Risk and Cost, focus on all of the sub-topics in Cloud Services. Surprise #3: The days of IT Management being left to a single Technician – The Generalist – are over. The 3rd surprise is a composite result of the first 2 surprises. It came from the realization that even within TRINUS, we don’t have one person who fully understands all of these points. We have Specialists who focus on one or two matters and are equipped to help resolve the tough issues. Across our whole Team, we have the resources and experience, but not individually. This starts to make more sense if you think of it in terms of Q Branch in the 007 movies. While Q was always leading the way in providing James Bond with the latest Technology, images of Q in his lab were always filled with many Scientists and Technicians working to develop new gadgets. Although flying killer-tea trays and a gun buried in a leg cast was not their best work, the Team-of-Specialists’ Approach was used. Large firms have always used the Team Approach to provide IT Services, but now the Team model is filtering down to small organizations. Even with less than 25 users in your organization, you’re going to need Specialists to provide effective IT Management. If you would like a summary copy of our Effective IT Management Presentation or have questions about it, please contact me or your TRINUS Account Manager. No exploding Emails – I promise!